A number of years ago, I served as a historic preservation consultant during the renovation of a glorious Manhattan townhouse at 15 East 96th Street. 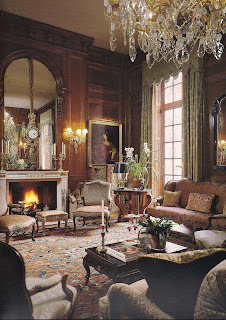 The original owner was wealthy-in-her-own-right Lucy Drexel Dalgren who was waiting out prickly divorce proceedings in Paris in 1912 when she was introduced to Boston-born architect Ogden Codman, Jr. Codman was also an interior designer and most of the furnishings he used, both new and antique, were supplied by French sources. 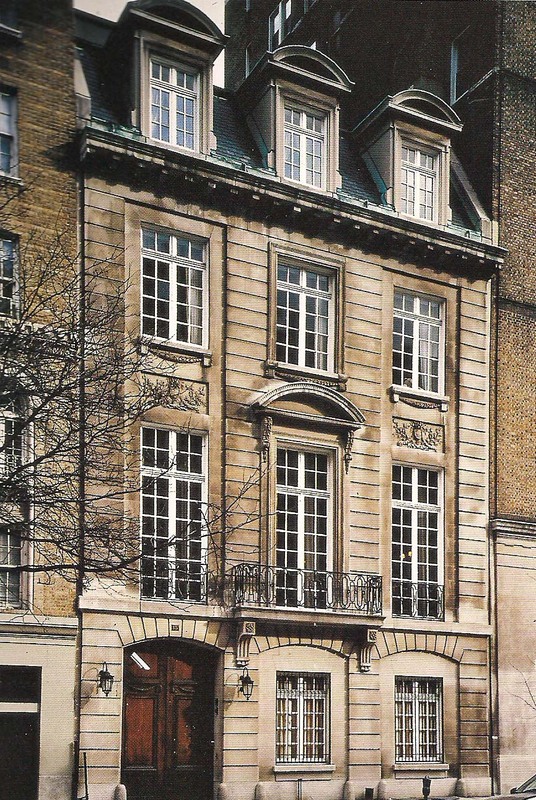 This required him to travel often to France, where he had spent part of his childhood, especially around this time as his own magnificent townhouse at 7 E 96th was nearing completion. Dalgren and Codman became friends, and when her divorce was finally settled, she commissioned him to design a new home for herself and her eight children which was completed in 1916. 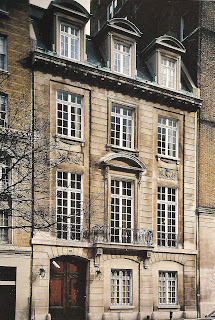 Codman scholars Pauline Metcalf and the late Henry Hope Reed have maintained that Codman was inspired by a house on rue Sainte-Catherine in Bordeaux (with lot widths similar to the 38 ft here), but clearly he was influenced by a number of models and provided his own interpretations as well. In Ogden Codman and the Decoration of Houses edited by Ms Metcalf, Codman was said to also have been influenced by Depau Row, circa 1830 houses that once stood at 160 Bleeker Street (replaced by the Mills House Hotel now converted into apartments). Like the carriage doors of Depau Row, the Dalgren house has a pair of impressive doors (with a smaller concealed pedestrian door) that swing in to allow an automobile to enter a shelter outside the side Vestibule entrance before proceeding through a courtyard to a Garage at the back of the 100 ft deep site. Inside the Garage, the original turntable still remains as does the original elevator that allows cars to be stored in the Cellar. On the First (Ground) Floor, there is a grand Stair Hall with plaster walls tinted and scored to resemble limestone. An Elevator and Powder Room are thoughtfully concealed adjacent. A square Reception or Living Room faces the street, and my clients were having the ceiling elaborately painted, complete with clouds and parrots, a sharp contrast to the somber oak boiserie, when I was brought onto the project. At some point the original Kitchen was relocated to the Second Floor, and now the space below the octagonal Dining Room is another reception room of conforming plan. The whole front Second Floor is taken by a Drawing Room with oak boiserie and a ceiling 16 ft high. The panelling is now painted with a beautiful multi-toned yellow glazed finish, but that is not a decision I would have easily made. In the renovation by the current owner, the pipes for an organ were removed and, in that space, a new Powder Room was created. Unconventionally for a New York City townhouse, but common in 18th century France, a separate second staircase ascends to the private floors above. (Also, there is a separate service stair for access to all floors, including the mezzanine levels). 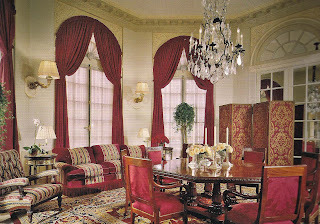 Instead of an oval like in Codman's own townhouse, the shape of the Dining Room is octagonal with the primary architectural feature being pairs of French doors with demilune fanlights glazed with either clear glass or mirror. But the most spectacular feature is a pair of elaborate marble wall fountains, just as were found in the time of Louis XVI, to rinse wine glasses between the courses. 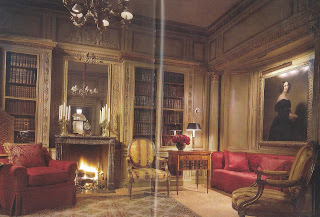 My principle contribution was the restoration of the Library, a jewel box of a room that presumably served as a private sitting room for the homeowner, on the same floor as the Master Bedroom. As it is comparativley small and requiring skillful furniture placement for optimal effect, the room has not really been appreciated by decorators over the years. Periodically, suggestions have been made to remove the bookcases and panelling to enlarge the room by incorporating an adjacent hall. But the room is safe, for now at least. 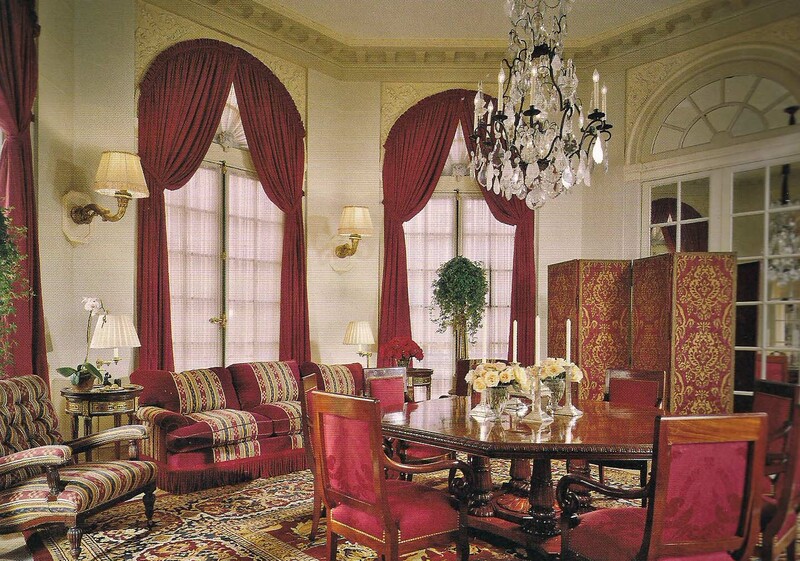 This photo shows the room as furnished by the late Mark Hampton for the subsequent owner after my restoration. These five photos are from Mark Hampton, An American Decorator by Duane Hampton. 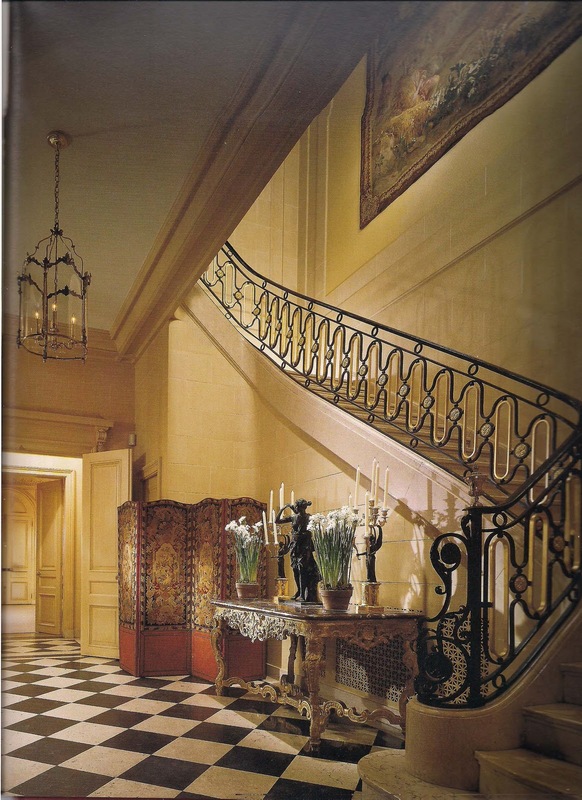 There have been a succession of famous (and relatively infamous) owners over the years, including Pierre Cartier of the jewelry family, whose heirs sold the house to the Convent of Saint Francis de Sales. There were two other owners before the current owner completely updated the building systems, sensitively improved the bathrooms and kitchen, and added a charming penthouse Garden Room opening onto the new south facing rooftop terrace with a pergola and outdoor fireplace. This work, in addition to refreshed decoration but not furnishing, was designed by David Anthony Easton and Andre Tchelistcheff Architects a to high standards executed by the white-glove company Xhema Construction. The readers might be surprised to learn that the current owner, reportedly, has never occupied the house and that it has unofficially been available for purchase for several years according to real estate sources. Ogden Codman moved to France permanently after World War I with his scheme for the whole block to be lined by similar houses of his design never realized. Conventional apartment buildings filled the other lots except for the three Codman townhouses that were built and still survive: this one, his own, and the house for Susan de Peyster at No. 12. 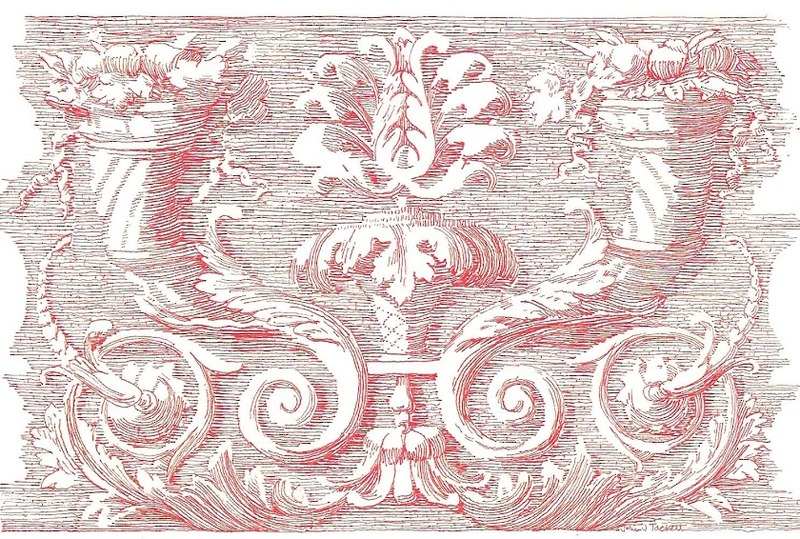 The book MARK HAMPTON, AN AMERICAN DECORATOR is available for purchase at a discount of 37% from the published price and the option of free shipping through The Devoted Classicist Library here. i still consider it my home. you have done that for me today. Great post...I think your blog is a wonderful addition to the design community. It is a lovely post and so true with aspect to time traveling. I am not a traveler but rather grounded and move very slowly. Devoted Classicist, makes the day brighter and richer at times when it is nullification or do I mean dull. I adore all things New York but I could never live there since I am too slow and lack forwardness. Thank you to all bloggers for keeping me company of late. I have tried to be blogger but my days are numbered. Depression and just living is taking its toll and winning. I am losing since I don't dare keep up. I am tired. Happy teas Classicist. Sorry for venting on your space/air time. Blog-readers are just as valued as blog-writers, so I hope you'll continue with the former even if you do not the latter. And thank you for commenting. Your interest in this blog is appreciated. Other commitments might prevent an immediate response to your comments or questions. That does not lessen the value of the blog reader's input, however. Only comments relating to the current post are eligible for publication; non-relevant comments and promotional references will be deleted. Contact me at johnjtackett@gmail.com regarding other questions. Anonymous comments cannot be accepted. Frederick P. Victoria & Son, Inc.